VUNK Garage48 Hackathon 2016 kicked off in the awesome SpaceX grounds in Tallinn, Estonia on Friday where 32 brave new visionaries pitched their innovative ideas. By the end of the team formation session, 16 projects got teams together and were brought to life by the teams of product managers, developers, designers and marketeers. 16 great projects were presented in the final presentations where the jury needed to do tough decisions. Instead of picking 7 teams for the next phase of VUNK Accelerator program Team Validation of confirming their business model and validating their teams, the jury picked 9 intriguing new startups. In addition the awards were given out for Best Tech Solution and Best Design. Prototron chose 2 teams to get straight to TOP40 into their Accelerator program and Ajujaht gave access to 1 team directly to TOP30 round. 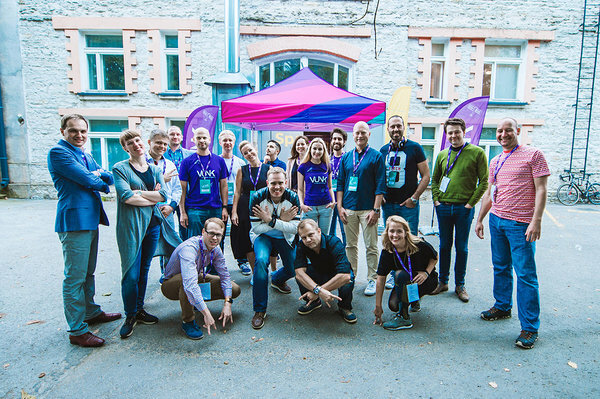 We had great mentors & jury working with the teams over the intensive week-end: Calum Cameron (Startup Wise Guys), Ragnar Sass (Garage48, Clanbeat), Ivo Remmelg (Telegrupp, Startup Wise Guys), Holger Haljand (Telia), Andre Visse (Telia), Elise Sass (Garage48), Henri-Paul Ariste (Telia), Ivo Kukavica (Telia Company), Kirke Saar (Telia), Lauris Muzikants (Telia Sweden), Martin Rand (VitalFields), Tiivi Püvi (IDEA Group), Mantas Gostautas (TEO & Omnitel), Priit Pikk (Telia). Finding and buying a proper pre-owned car can be slow & messy. With skynda.me it isn't. HypeSilo is a smart-bot that replies automatically to customers on social media in crisis situations. MovePrep secures expat professionals living spaces in new cities by striking rental deals with property owners ahead of time – this way, you'll have a flat as soon as you've completed identity verification. We connect care workers directly to customers. Nimi is an online service for people who are choosing a name for their startup, product, or brand. We help businesses avoid failing in global markets - by testing their name candidates for linguistic, cultural, and regional issues via a worldwide community. ShopOn is an augmented reality based mobile solution that aims to give online retailers an opportunity to add a layer of interaction and information while the customers will have a better understanding of what they are actually buying and if it event fits in their home. Gamified location based instant events app to organise meetups with people in the area. Let's export Estonian mobile-ID and make it even cooler. You can make blockchain based identity and sign documents with it, using only your mobile. Let's take a step into the paperless future! Connecting backpackers to old and new friends through geo-location. Team: Reno - Designer, Martin - Product, Madis - Marketing, Kristajn - Front-end developer/entrepreneur. Gimme.ee helps you to organise any kind of event – list down your gift ideas, party essentials or other special wishes and share them with every attendee. Ortofy is changing THE WAY YOU ORDER FOOD. Cooking right meal for dinner haven’t been so easy before. Swipe favourite recipe, order all needed ingredients and in 1 hour all goods will be delivered to your door. You can just enjoy cooking! This is an app to see who is around you, 100 metres radius. A big shout-out goes out to all the participants who took part in this weekend. As it was said to finish the event: You are all winners!